Quebec City-based large-format fashion retailer La Maison Simons has opened a first-of-its kind store in Quebec City, which uses industry leading technologies to eliminate its carbon footprint. The impressive space includes some unique features not found in other Simons stores, as the company continues to refine its retail strategy. 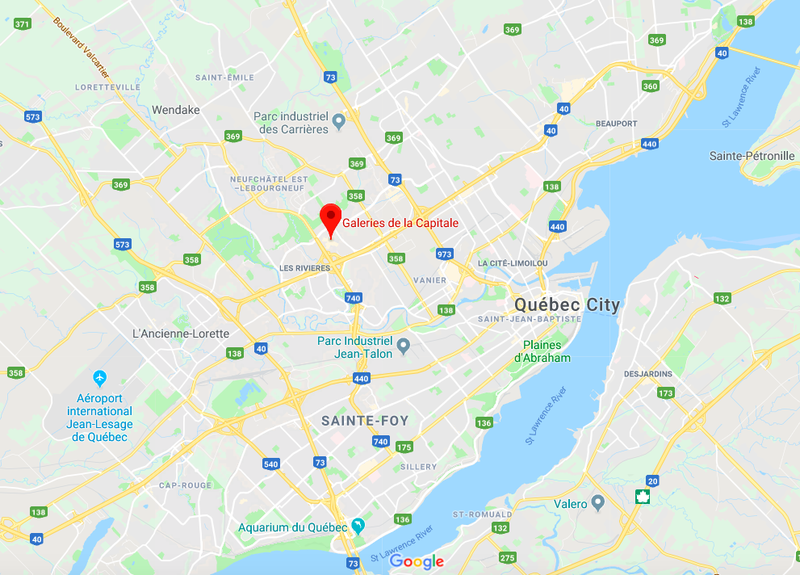 The new 80,000 square foot one-level Galeries de la Capitale store replaces a smaller 45,000 square foot location that has operated in the mall since 1981. The replacement Simons is located in part of the retail space once occupied by Target, which vacated its Canadian operations about three years ago. Located on the second level of Galeries de la Capitale, the new Simons store is designed to generate as much energy on-site as it consumes annually, with an aim to reduce overall greenhouse gas to the atmosphere. In an effort to reduce the store’s energy consumption, a total of 27 geothermal boreholes were drilled into the ground under the parking lot — a pump pulls heat from the ground to heat the store or for cooling, extracts heat from the store and sends it back into the ground. Energy-efficient heating, ventilation, and air conditioning (HVAC) system and state of the art LED lighting control program were also installed for the new store, which are expected to reduce energy consumption by 60% when compared to the original 45,000 square foot Galeries de la Capitale store. The new store’s parking lot includes 133 spots that have canopies covered in 1,020 bifacial modules which have glass on both surfaces to capture both direct and reflected sunlight. When combined with an impressive 2,308 bifacial modules on the roof, the entire solar electric system will generate over 1,300,000 kWh/year — the equivalent to about 50 typical Canadian homes. The hope is also that sales in the new location will justify the added expense — the store cost tens of millions to build, and the environmental components and art work made it even more costly. Mr. Simons explained that the company is able to make such investments because it’s privately held though recently, it’s been reported that Simons is seeking outside investment to help fund its expansion, which will include an e-commerce fulfillment centre that is expected to be located in or near Quebec City. Mr. Simons explained that each Simons store is unique, and that a considerable amount of thought went into perfecting the new store’s design. Included are dedicated shoe departments for men and women — a relatively new addition to the retailer that, until recently, only carried a handful of footwear styles. Simons worked with Quebec-based architecture firm Lemay Michaud on the store, with Toronto-based Designstead having worked on the interior design. The store’s facade features a ‘fabric-inspired weave’ in shades of green and yellow that is meant to enhance the store’s brick façade — it’s a nod to Simons’ corporate colours as well as the ecological elements of the store. Adding to the environmental theme is an island of rocks and grasses that replace one row of parking in front of the store, creating a clear view of the main entrance. The store’s interior layout is designed to be easier to navigate than most other Simons stores, which can seem vast. On one side of the store, women’s fashions dominate while on the other side are departments for men’s fashions and home goods. The two sides are separated by the store’s accessory and shoe departments. As with all of Simons stores, there’s a unique quirkiness to the new Galeries de la Capital store that is worthy of note. Included is a “WeWatt” station in the athletic-themed iFive department that features three stationary bicycles where customers can charge their phones by cycling to create electricity. In the young women’s 'Twik' department, felt panels in shades of grey and white are suspended from the ceiling. On the walls of the men’s 'Le 31' department, clothing blueprints showcase different cuff and solar styles. Throughout the store, bold wallpaper patterns adorn fitting rooms to reflect the personality and style of each department. ('La Cime' art installation, which is composed of branches hanging at different heights in the skylight located at the centre of the store. It represents an inverted landscape composed of wooden branches that are covered in papier-mâché and fabric recycled by Simons customers and the design team. Eco is a theme throughout the store, including a large-scale eco-themed art installation from a local artist Giorgia Volpe. She's known for reusing and repurposing items to create art, and was commissioned to create a custom art installation called La Cime, meaning “the top”. The 11 by 20-foot-long sculpture is made from branches that are covered in papier mâché, then dressed in recovered fabrics from Simons design team as well as recycled clothing from current Galeries de la Capitale customers. The wrapped branches are suspended at different heights and unfold in the skylight located in the center of the store. As well, several other art and artisanal pieces are displayed throughout the store, including original framed pieces from Quebec artists Tania Girard Savoie and Elysanne Tremblay located in the store’s customer service area. Overall the store has a more ‘residential’ feel, according to Mr. Simons, and ceilings are a bit lower than in some locations so as to reduce energy usage. While the store is a bit smaller than the typical 100,000 + square foot locations found in Edmonton, West Vancouver, Ottawa and Mississauga, Mr. Simons explained that the new Galeries de la Capital location is “right-sized” for the future, as Simons contemplates what's to come. Mr. Simons said that after a recent rapid expansion that saw the company more than double in store count, La Maison Simons is slowing down its store expansion and will next focus on building a robotic distribution centre that will be “one of the most efficient facilities in North America”. 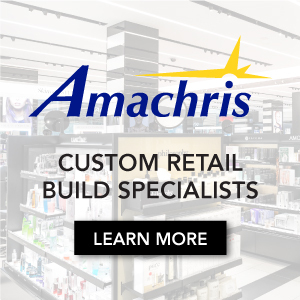 The company is seeking to fund this initiative, and is also looking at growing its presence at CF Promenades St. Bruno in suburban Montreal, as well as renovating its downtown Montreal flagship. There’s no exact timeline for any of these projects and we might not see as many Simons stores opening in Canada as we have in the recent past. La Maison Simons, which was founded in Quebec City by the Simons family in 1840, opened its first store outside of Quebec in October of 2012 when it unveiled an impressive 125,000 square foot store at West Edmonton Mall. The company subsequently expanded nationally and now includes 15 stores in BC, Alberta, Ontario and Quebec. Of its 15 stores, eight of them have opened since 2012 as part of an unprecedented expansion for the retailer which features a mix of reasonably-priced in-house fashion labels and brands that include some of the world’s top names such as Balmain, Marni, Vivienne Westwood, Nina Ricci, and others. The relocated La Maison Simons is the latest improvement to Galeries de la Capitale -- the centre saw a 7.75% increase in foot traffic in 2017 as it added new stores and others were renovated. This year will be an important one, as well — renovations to the mall’s common areas will be completed, and its Méga Parc amusement park will reopen after an overhaul and 'steam-punk' rebranding. *Photos are courtesy of Simons, via Jane Gill PR. The city’s rapidly growing downtown core will be serviced by a premium grocer in a major new mixed-use development called the ICE District. 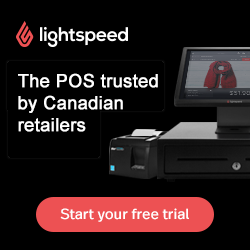 Another international retailer has entered the Canadian market as 2019 shapes up to be another busy year. Canada is the first market globally that the luxury automobile brand has launched its innovative new technology, allowing consumers around-the-clock access with live online demonstrations and communications that makes the brand truly ‘omni-channel’.